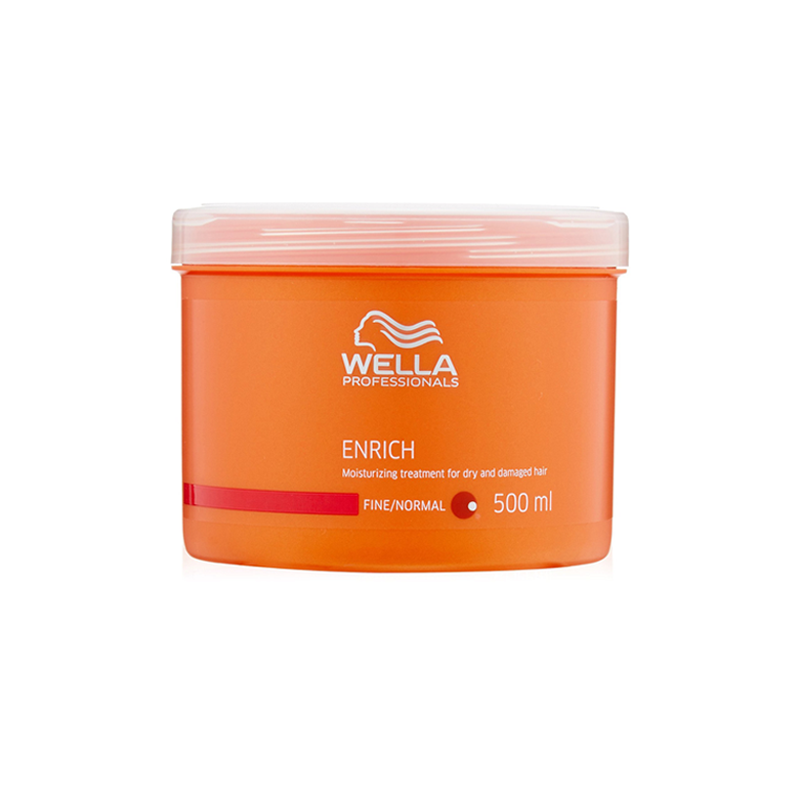 This mask restore a healthy look to the hair, leaving it with an instantly noticeable soft, irresistible touch and leaves a healthy look with an instantly noticeable soft touch. A moisture-rich treatment mask for dry & damaged hair-Formulated with silk extract & shea butter-Helps deeply hydrate repair & shield hair without overloading it-Hair appears suppler sleeker shiner healthier & more manageable.Creamy mask that restores dry damaged hair, leaves a healthy look with an instantly noticeable soft touch.Task-specific products Enrich Moisturising Treatment Treatment for coarse and With Triple Blend Technology. Apply after shampooing. Massage and leave for 5 minutes. Rinse out.